Ant habitat in a fallen tree, clearly showing tunnels and ants moving eggs. A homemade ant farm can provide a similar “window” into the life of an ant colony. Make an ant farm and give your child a no-cost educational pet. This is a fun nature craft to teach entomology and how an ecosystem works. It can also be addictive as you watch the the ants going about the business of building a new home. A large bottle or a small aquarium and a smaller container to fit inside. This second container should be a similar shape to the first one, but a little smaller, ideally allowing about 1″ of space between the two containers. Both containers need secure, tight fitting lids. Did you know that ants have jobs? Ants may not look like they are doing anything important, but each ant that lives in a hill has a special job, whether it is cleaning the nest, digging new tunnels or gathering food. And in each ant city there is a queen ant who is busy laying eggs. In this popular Let’s-Read-and-Find-Out Science book, Arthur Dorros explores the fascinating and complex ways in which these industrious insects work together to keep their ant cities alive. Just click on the ant maze sample below to print out a full-size Ant Maze Puzzle. 1. Place the smaller glass container that you have chosen inside the larger container. The purpose of the smaller container is purely to take up space and to encourage the ants to build their tunnels against the outside glass for easy viewing. 2. 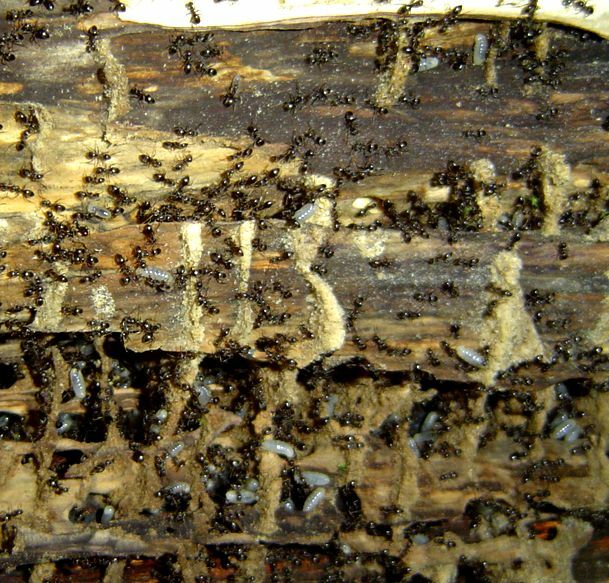 Locate an ant farm in your yard and dig carefully in the area where you see the most ants. Transfer some soft soil, with the ants, into a bucket. 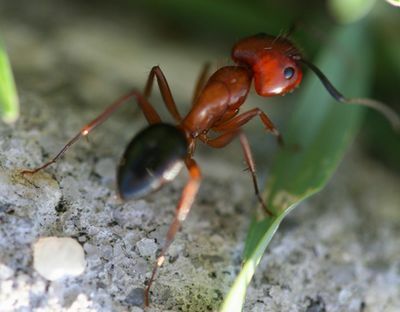 Try to find some larger ants or a queen ant with wings, along with eggs and larvae. 3. Using a paper cone or funnel, gently add soil and the smaller worker ants to the space between the two containers. Add the queen, eggs and larvae last, sliding them gently down the funnel to rest on the soil. The worker ants will quickly begin to relocate their queen and her offspring in their new home. Some ants bite, so keep your child away from exposure to the ants while you work. Ants will climb even glass walls, so you’ll need to securely cap your container. Punch air holes in the lid of the larger container, but make the hole openings too small to allow ants to escape. 5. Once you have the ants in place, put the lid on the container. Make a paper sleeve, covering the container from the bottom to the top of the soil. This darkens the ant farm and recreates an underground environment. Your ants will begin working immediately. Ants appreciate a drop of honey, sugar, or bread dipped in sugar water, and tiny bits of fruit or vegetables. Very, very small amounts will do; you don’t want the food going moldy in the bottle. Ants get water mainly from their food; however, every couple of days you can add a cotton ball soaked in water to supplement the supply. Be careful not to knock the bottle over or shake it up; this will destroy the new ant farm. 7. To view, remove the paper sleeve. Make notes about the ants progress each day. This would make a neat science project if your child is studying entomology, nature, or ecosystems.